Toronto dropped to 4-3-8, 15 points, in 10th place in the East, as they still are going through a slow start after participating in the Concacaf Champions League. NYCFC was dealt a tough blow early in this one, as Captain David Villa had to exit the game in the 27th minute with an apparent knee injury. Soon after, Toronto got on the board, as Auro lobbed a long pass from their end deep into NYCFC territory, where Victor Vazquez flipped it over NYCFC goalkeeper Sean Johnson, who came to where the ball was on the right side of the box. In the 51st minute, Ismael Tajouri-Shradi came down the left side, sent one into the box to Jesus Medina (who replaced Villa), and he dropped it off to Berget, who flicked it in with the back of his right heel to tie it at 1. In the 68th, Maxi Moralez came down the center of the field, and found Berget on the right side, avoiding three Toronto defenders, and he buried it to make it 2-1 NYCFC. For Berget, this was his second and third goals of the season, his first in New York. On which goal felt better, Berget said, “Nah, the second one felt better... That’s kind of what I’m about, I run and I make the run. Maxi has been giving me those balls has been giving me those balls all year long and this one I managed to get to the back of the net." 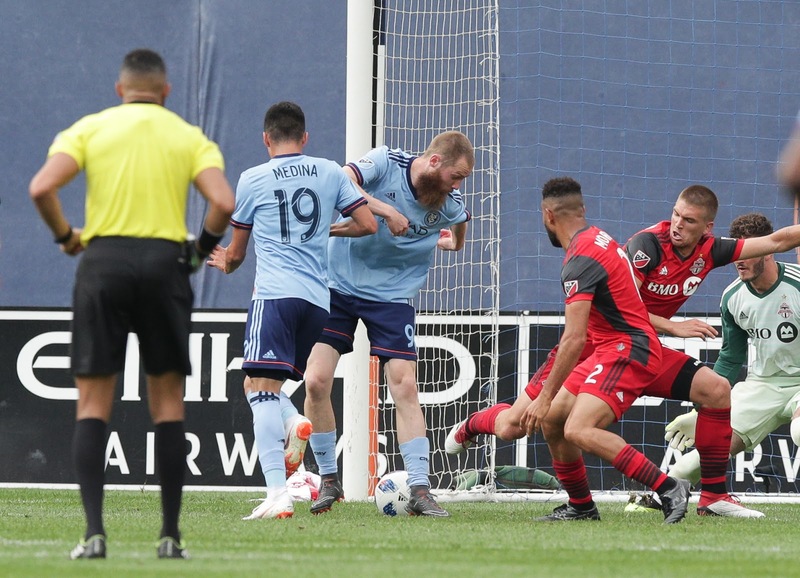 Toronto had one big chance towards the end, in the 91st minute, as Tosaint Ricketts fired one in, Johnson made the save, and it went back to Sebastian Giovinco, who kicked it right back at the NYCFC keeper. 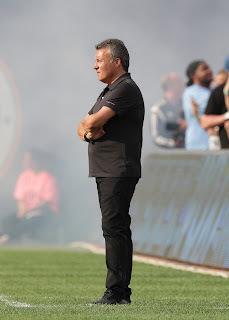 Domenec Torrent won his first match as NYCFC Head Coach, after taking over for Patrick Vieira, who left to take over France's Nice. On losing their star striker, Villa, in the first half, and how severe his injury is, Torrent said, “It’s bad news for us because he’s a key man for our team. He has a lot of experience especially in these kinds of games. It’s not good news, but we have fantastic players. I think we have a challenge, and I think quickly, what is the best way to win the game without David."